Ball Hank n' Skein: Mandala House Slipper Pattern GIVEAWAY! 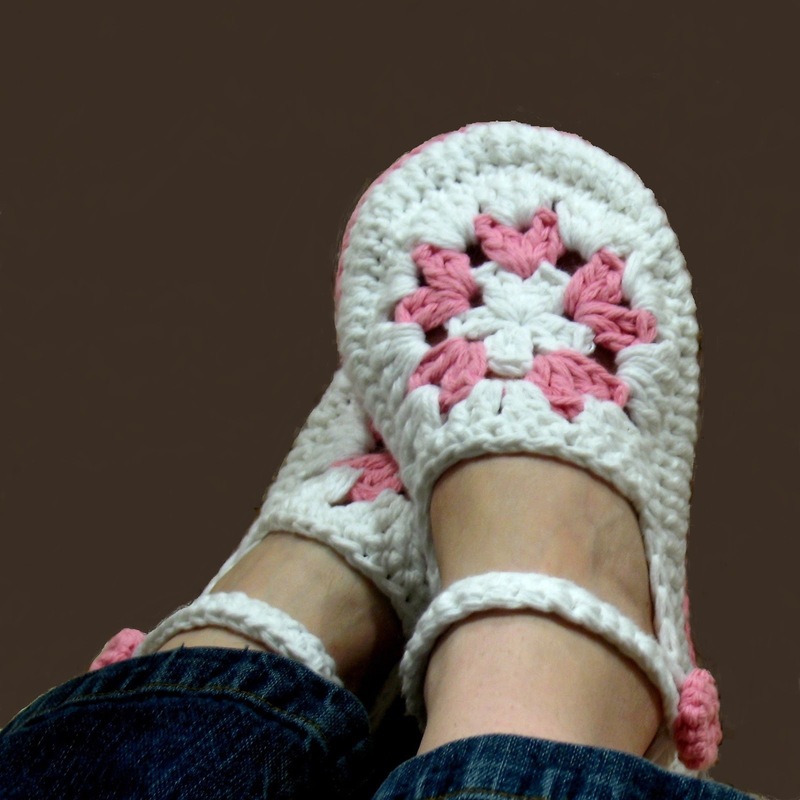 Mandala House Slipper Pattern GIVEAWAY! I am so very excited and proud to announce my newest pattern. The Mandala House Slipper! Yippeeee! It's been a long time coming: I thought of this pattern in May 2011 and it took until today to finally get it up and running. This went through 4 tests and an incredible number of edits to get it where it is today. Thank you to all my wonderful testers for making this pattern so awesome! This pattern is available for purchase on Etsy and on Ravelry. To celebrate, I am offering this pattern for free to 3 lucky winners! Two ways to enter: (1) Follow this blog and comment below to let me know you are following (current followers included) AND (2) Follow me on Facebook and comment below to let me know you are following (current followers included). Each person can have 2 separate entries. Leave separate comments for each entry. GIVEAWAY will be closed and winners selected on Monday January 23, 2012 using a random number generator. Following you on the blog - new one for me and so glad I found it!! I am your newest facebook fan and Left a comment. I am now following your blog! Looks fun! I am now following you on FB! I am also a follower of your FB page!! Cute slippers.. I am a new follower to your blog and FB page. Love these slippers!